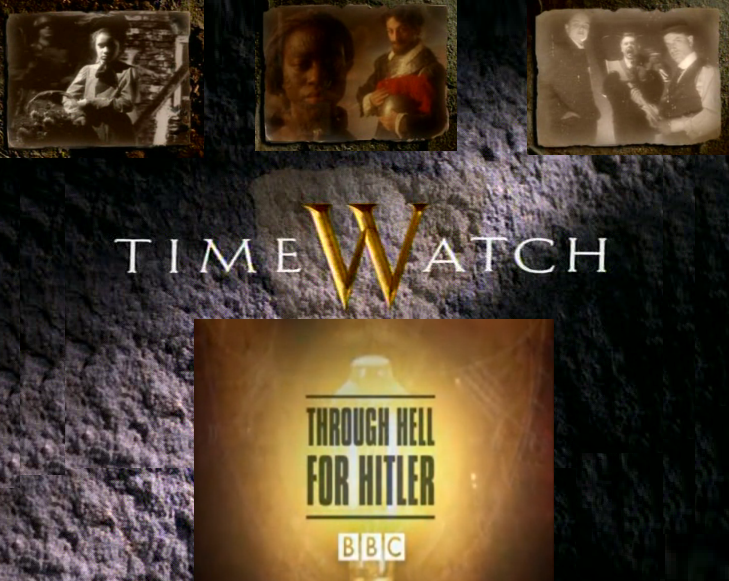 Documentary looking at the relationship between Hitler and Himmler, and how the latter made secret approaches to the Allies as the Second World War in Europe drew to a close, a betrayal of the Nazi principle of absolute loyalty and obedience to the Fuehrer. Also looks at his failed attempts to use Jewish hostages to barter for money or equipment with the Allies, and at instances where other SS generals contradicted or refused to follow unnecessary suicidal military orders from Hitler. By the spring of 1945, Himmler had lost faith in German victory. He came to the realization that if the Nazi regime was to have any chance of survival, it would need to seek peace with Britain and the United States. One August morning in 1826, two men went for a walk in the Scottish countryside, in a field just outside Kirkcaldy in southern Fife. Only one of them came back alive. 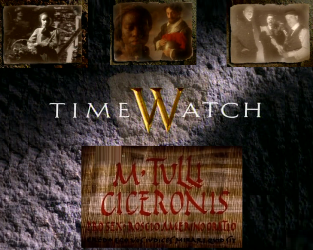 Timewatch tells the story of two men who fought to the death with pistols, one a respected merchant, David Landale, a linen merchant and pillar of the community. The other was George Morgan, a soldier turned banker with a fiery temper, steeped in military tradition. The soldier also happened to be the merchant’s bank manager. It would end with the death of one man and mark the demise of a 600 year old ritual. 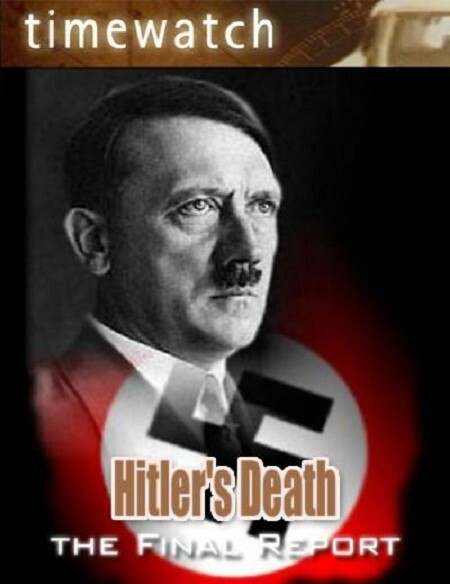 Chronicles the final days of Adolf Hitler’s life and an account of how he died. Uses information gathered from the Soviet intelligence operation codenamed “Operation Myth” which describes how his body was found and identified after his suicide. Also, re-enactments of interrogations and responses of Germans by Soviet Intelligence taken from transcripts. It is unique in the Roman World. A spectacular and complex stone barrier measuring 74 miles long, and up to 15 feet high and 10 feet thick. For 300 years Hadrian’s Wall stood as the Roman Empire’s most imposing frontier and one of the unsung wonders of the ancient world. Almost 2,000 years after it was built, Hadrian’s Wall is proving to be a magical time capsule – a window into the human past. Archaeologists have properly excavated less than 1per cent of it, but they have unearthed extraordinary findings. 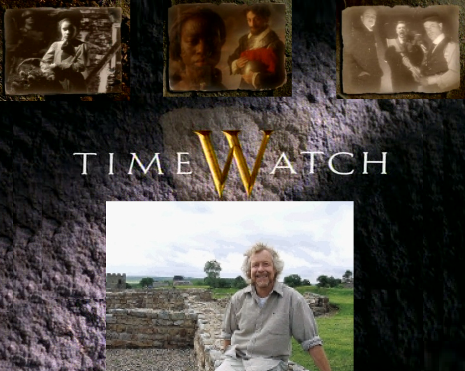 With presenter Julian Richards Timewatch journeys back through time to unlock the secrets of a lost world. 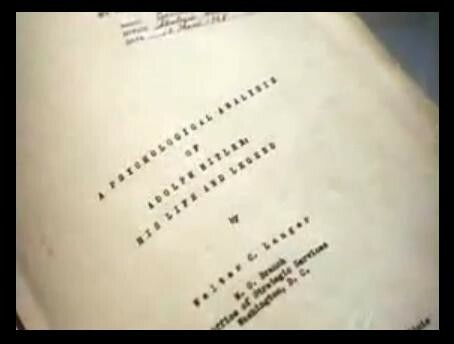 A Documentary, with dramatised elements, looking at the psychological profile of Adolf Hitler compiled by a team of Harvard psychologists in 1943. Interviewing former colleagues and the former family doctor who had fled to the USA and using Freudian techniques and theories of the day they came up with a profile and predicted how he would react to certain situations, concluding that he would not surrender and would be most likely to commit suicide when faced with defeat. This led to future profiling of many world leaders and dictators. Exposing the undercover dealings of enemy agents and the MI5 counter deception, known as the double cross system, in the Second World War. Captured German spies were turned into double agents and used to deceive the Axis forces. These agents played a crucial role in the success of the Normandy landings Includes interviews with Pat McCallum, who was in charge of the double agents’ files at MI5, Anthony Simkins, former Deputy Director of MI5, as well as members of the German Abwehr military intelligence service. Insight into the Battle of Alesia, the climax of Julius Caesar’s eight-year campaign to conquer Gaul and subdue its hostile natives. In one of the greatest sieges of ancient times he managed to rout the army of Vercingetorix, who had succeeded in uniting the Celtic tribes against the Roman invaders, and secured a victory which would shape the future of the Western world. Julius Caesar’s Greatest Battle is told through the eyes of Mark Corby a Roman historian with a professional admiration for Caesar and Neil Faulkner an archaeologist for whom Rome’s great achievement was no more than robbery with violence. Mark takes on the role of Caesar and Neil that of Vercingetorix in this gripping documentary. Chronicling the exploits of former German Panzer driver Henry Metelmann, who was conscripted to fight for the Fatherland in World War Two. Transformed from idealistic Hitler Youth to battle-hardened soldier, he was responsible for the deaths of surrendering fighters and innocent civilians, only surviving the Russian Front through a combination of luck and cowardice. He tells his story in flashbacks from his home in Britain as an old man. A matter of fact account of his youth before the war and his trials during his time as a soldier. The cities of the Maya were abandoned to the jungle 1000 years ago. They were rediscovered in the 19th century. Explorers came to try and learn what was here and what it meant. Now scholars are beginning to see the individuals involved, their names, the dates, their arrivals, all of this very specific information is now coming out through epigraphy, the study of hieroglyphics. The Maya ruins of the central american jungle are are full of hieroglyphs, but the missionaries of the Spanish conquest deliberately wiped out the memory of how to read these stones. The Maya kept calendars of immense complexity and accuracy. The view developed that these cities were centers of a wise and peaceful civilization that had a deep understanding of nature and the universe. But now we are learning the truth about the classic Maya cities, and the truth is that the Lords of the Maya set up a form of rule that destroyed human lives and even nature itself. 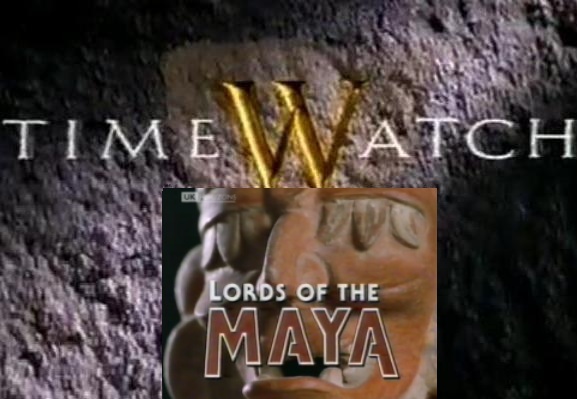 This documentary charts the rise and fall of a specific Mayan Lord Yax K’uk’ Mo (pronounced yash-cook-moe), and through it the brutal world the Mayans lived in without passing judgment on the Mayans themselves. 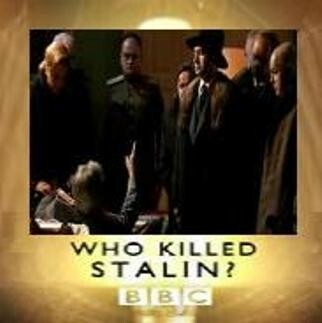 Documentary about the final hours of Stalin’s life, why was he denied medical attention, was he poisoned? 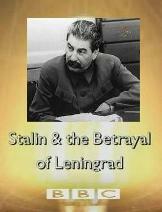 Was it one of his inner circle of cronies and henchmen, also reconstructions of that days events and interviews with Stalin’s living relatives and the children of his inner circle. This is a real who done it. Murder in Rome, a re-enactment of the one of the most significant murder trials in history. 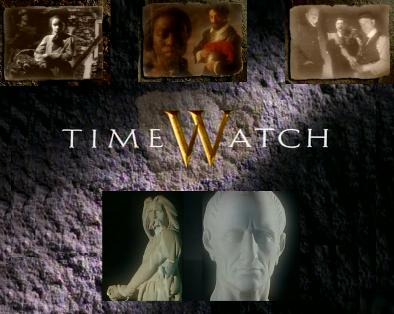 Directed by Dave Stewart, and based on a genuine trial record, it’s set in Rome in 81BC. Sextus Roscius is accused of murdering his father, and found guilty he’ll face an agonising death. However, the stakes are just as high for Cicero, the lawyer defending him. If he wins the case, he could be killed. Inside the biggest and best courtroom in history. Roman trials were the ultimate in ancient entertainment. This is a gripping dramatisation of the best of them. 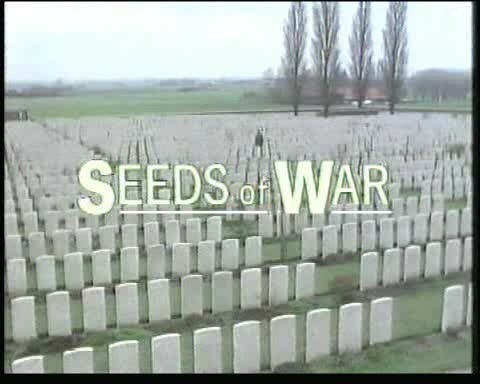 Documentary on the causes of the First World War. Uses archive film from eight countries to try and piece together the attitudes of the leaders of the Great Powers. Also looks at whether it could happen again. On the night of October 1, 1950, five high ranking Soviet Communist Party officials who led the city of Leningrad through its tragic wartime siege, were marched out into the cold night and executed. The death of the leaders under Stalin’s direct orders, was part of a witchhunt that started three years after the war ended and became known as the Leningrad Affair. Based on a series of bizarre allegations, Stalin executed not only the city’s senior party leaders but purged the whole city from the top down. 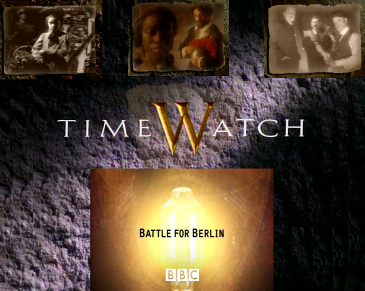 Timewatch looks at the Red Army’s sweep to Berlin and battle for the city, and the great loss of life and suffering endured. Historian Antony Beevor looks at the scale and tactics of the battle, and at the rapes, murder, looting and destruction that went on against the civilian population. Drawing on new evidence gleaned from soldiers’ remains and interviews with survivors, he has been able to unearth a number of new discoveries, including Stalin’s willingness to sacrifice his own men to take the German capital before the Americans, and the Red Army’s brutal treatment of German civilians as they advanced across the country. In 1946 almost half a million German prisoners of war were still being held in Britain. Interviews, archive footage and photographs shed light on the experiences of the people of Oswaldtwistle, who were banned from fraternising with the enemy until 1946, a Lancashire town that offered the hand of friendship to the prisoners of war located near the town. The documentary is based largely on the book Enemies Become Friends by Pamela Howe Taylor. On 14th November 1940, the Luftwaffe launched the most devastating bombing raid so far on Britain. The target was Coventry, deep in the heart of England. In a 12 hour blitz, the Luftwaffe dropped thousands of tons of bombs. Three quarters of the city centre was devastated, including the ancient cathedral. 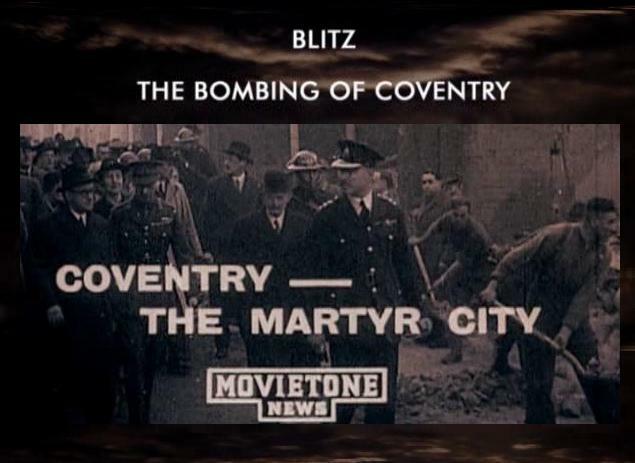 The Nazis coined a phrase – “to Coventrate” – to describe the intense destruction. It was a baptism of fire for Coventry and Britain. For years, the government feared that aerial bombardment could destroy civilian morale. In Coventry, those fears were tested, and in the immediate aftermath of the blitz the evidence was not encouraging. Dr Saul David investigates the violent world of the medieval melee tournament. Forget the images of chivalric knights, well-dressed damsels and dropped handkerchiefs associated with the joust. 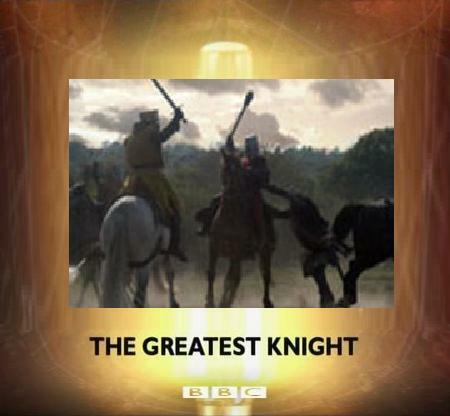 The melee tournament was a brutal free-for-all with sharpened weapons, few rules and one undisputed champion, William Marshal. His story reveals a very different kind of tournament, one in which brute force ruled, handkerchiefs stayed in pockets and where money was more important than manners. Ben MacIntyre brings to life his bestselling book Agent Zigzag, the gripping true story of Britain’s most extraordinary wartime double agent, Eddie Chapman, he duped the Germans so successfully that he was awarded their highest decoration, the Iron Cross. He remains the only British citizen ever to win one. 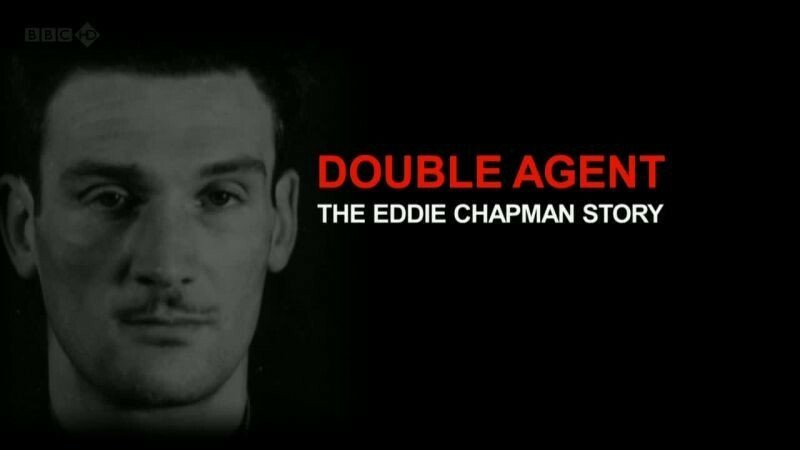 Including remarkable and newly discovered footage from an interview Chapman gave three years before his death in 1997, the programme goes on the trail of one of Britain’s most unlikely heroes – a story of adventure, love, intrigue and astonishing courage. A tsunami in the Bristol Channel could have caused the deaths of up to 2,000 people in one of Britain’s greatest natural disasters, experts have said. For centuries, it has been thought that the great flood of January 1607 was caused by high tides and severe storms. Two experts have argued a tsunami could have caused the devastation. Eyewitness accounts of the disaster, published in six different pamphlets of the time, told of “huge and mighty hills of water” advancing at a speed “faster than a greyhound can run” and only receding 10 days later. Dr Roger Musson, head of seismic hazards at the British Geological Survey, said there were other examples of earthquakes in the area caused by an ancient fault off south west Ireland. One magnitude 4.5 earthquake was recorded there on 8 February 1980. “The idea of putting a large historical earthquake in this spot is not so fanciful,” he said. “We know from seismological evidence, that we have actually had an earthquake here, so there is a fault and it is moving, it is active.” Other UK tsunamis include a 70 feet high wave that hit Scotland 7,000 years ago, following a massive landslip in Norway.